I was a bit surprised by some of the books on their original list. Oedipus Rex over all other classics? Of Mice and Men over East of Eden or Grapes of Wrath. Interesting choices. I'm off to cast my vote. Im going to cast my vote later so thanks for the list. I'm guessing these are the best of the books their publishing company has? I can certainly think of ten better books than the ones they have. I've read four of the ten and two of the four weren't awe-inspiring at all. I got about ten pages into Walden and fell asleep. I think your list is better than theirs! Leaves of Grass and Middlemarch are two excellent selections! Thanks for the link. (Especially considering you reduced your own chances of winning the tote by sending us all there to enter! )I am going to vote now. I absolutely adore the Penguin Classics! How hard to only pick 10 top classics! Your list is a really great one--some of those would be on my list as well, but I don't think I could narrow it down to 10! Great choices! I've read a few of these, but I'd read a few more off of the list from last year. Definitely looking forward to casting my vote! Thanks for the link! I created my list as well, which included a couple of yours too. Crime and Punishment is at the top of my list for sure. If anyone's interested in my thoughts on Crime and Punishment and other Russians (I love Russians!) you can check out my literature blog. It's not as interesting as Allie's yet, but I'm working on it. :) The entry about Crime and Punishment is called "My Favorite." I'd love your feedback! Avid Reader: Oh I agree. There were some on there I was fine with, but I felt some big titles needed to be added on. I'm glad they're redoing their list! Jessica: You're welcome! Good luck! SocrMom78: Aw thanks! I haven't read Walden myself, but that isn't good news for when I do! Ash: Thank you! I absolutely love Eliot. Her work is amazing. 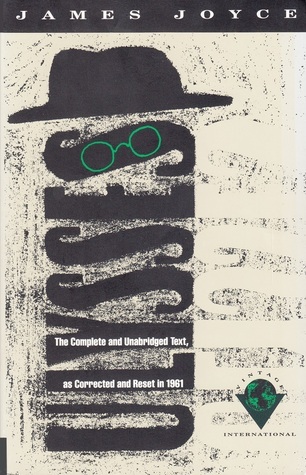 And Leaves of Grass is one of my all-time comfort reads. Trish: Yeah, it was difficult to only pick 10 when there are so many I love! aebither: I will definitely come by and look around. 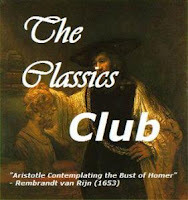 :) I have a soft spot for blogs with a focus on the classics. :) And I was surprised by how much I loved Crime and Punishment when I read it. And I have loved every Russian novel I've read so far.